Whether you live in Manchester and are looking for coach hire to anywhere else in the UK or you are organising a group trip to this exciting city, National Coach Hire can offer a relaxing, inexpensive and flexible service. These days there are many reasons why you might be heading to Manchester. It could be to watch the football – either the world’s biggest team (United) or lately, the world’s richest (City). Or perhaps you’re heading there for the incredible shopping, second only to London for sheer variety. Perhaps it’s nightlife you’re after, hoping to enjoy the music and club-scene that has led the way in recent years, from Joy Division to the Smiths, from Oasis to the Stone Roses from ‘Madchester’ to the sophisticated and eclectic clubs which now fill the city. Perhaps you’re heading there for business, (Manchester has built a reputation for being one of the leading centres of media and the arts in the UK), or for a conference. 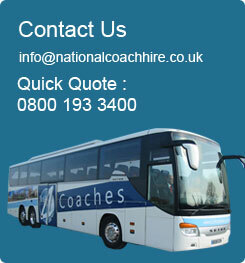 Whatever your reasons, if there’s a large group of you, why not let National Coach Hire help organize your trip. 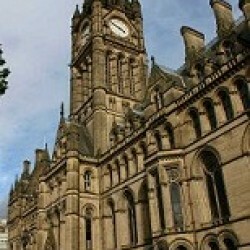 Whatever your plans, Manchester is a city that suits coach hire. Whether you’re here to visit Old Trafford or Lancashire County Cricket Ground, or you’re coming here to see the BBC Philharmonic Orchestra, or to see a concert at the Manchester Evening News Arena, coach hire allows you to experience so much more. If you’re using Manchester as a base to see the surrounding countryside, then let us take care of the stress whilst you sit back and enjoy the view. From the stunningly beautiful Lake District with incredible scenery and wildlife, to Celtic ruins and historical sites, a coach will allow you to take day trips (or longer) out into Lancashire. Whether you want to take a short walk in the Peak District National Park, or spend all day hiking the Penine Way or if you want to tackle the High Peak Trail on you mountain bike, National Coach Hire will be there at the end of the day to whisk you off the trail and back to the restaurants and hotels of Manchester. If you should want to venture out to visit Liverpool or Lancaster, the lights of Blackpool or the quieter beaches further south, National Coach Hire can take you wherever you wish to go, quickly, economically and in the most relaxed way possible.